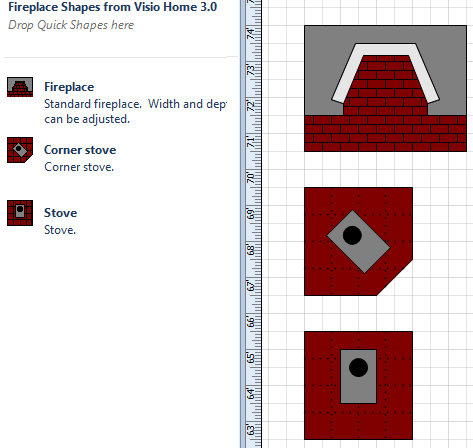 Looking for plan view fireplace shapes? 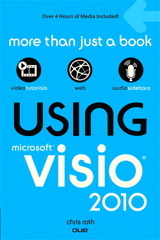 In later versions of Visio, they seem to have disappeared! First, I looked in my stash of stencils saved from 1994’s Visio 3.0 Home. I found the stencil, but it was so old, it was corrupt. 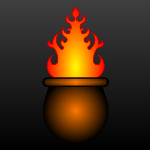 Luckily a little more hard drive mining turned up Fireplace Shapes.vss. This is a stencil I built the last time someone asked me for these shapes, but I hadn’t ever published them to this site. While not works of art, these original fireplace and wood stove shapes do save you a lot of time if you’re working on a living room design. Of course, they are intended for use in scaled drawings and work properly in such an environment. Have fun dragging and dropping. Thanks so much, this is perfect.